DEERFIELD BEACH, FL — January 2018 — Inovaxe is pleased to announce plans to exhibit at the 2018 IPC APEX EXPO, scheduled to take place Feb. 27 - March 1, 2018 at the San Diego Convention Center in Ca. The Inovaxe team will showcase the new SMART MSD storage solution, as well as its new SMART Stencil Storage solution in Booth #1725. The SMART MSD Cart improves on Inovaxe’s patented InoMSD Cart by adding intelligence to each individually isolated hive. The SMART MSD Cart detects when a hive is opened and closed, and can light up to indicate to users where an MSD part is located. 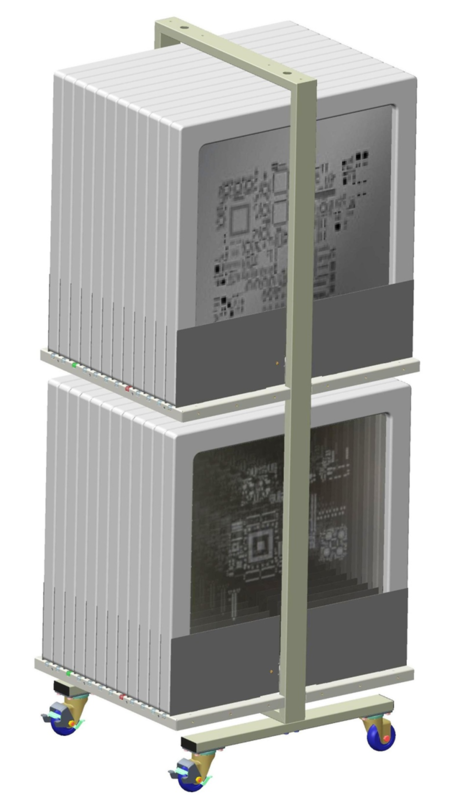 When an MSD hive is accessed, the SMART MSD Cart shuts down its air circulation so that no other location sees a rise in humidity. This patented design gives customers true moisture control for their moisture sensitive devices. The SMART MSD Cart can be used in conjunction with Inovaxe’s other smart storage solutions and software, including InoAuto, InoView, and the InoMSD Tracking Software that tracks the life of moisture sensitive parts on the line based on MSL standards. Inovaxe is also excited to showcase its new SMART Stencil Storage Cart, allowing customers to quickly put away and retrieve solder stencils. When putting a stencil away, the customer indicates the stencil number by typing or scanning, and simply adds the stencil into any open location. 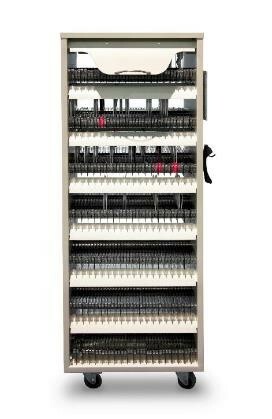 The SMART Stencil Storage Cart detects where the stencil is placed. When a stencil needs to be retrieved, its location is illuminated, allowing the customer to simply remove the lit stencil.